The pathway contains 23 monuments, 22 with bronze plaques affixed to cement or granite blocks; several have two plaques. The main plaques are set on an angled face. 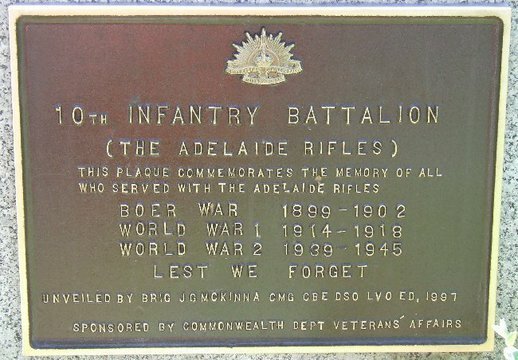 One monument, the SAS, is a cut and polished black granite boulder with brass plaques affixed to the face. DESCRIPTION: Pathway of Honour. The pathway contains 23 monuments, 22 with bronze plaques affixed to cement or granite blocks; several have two plaques. The main plaques are set on an angled face. 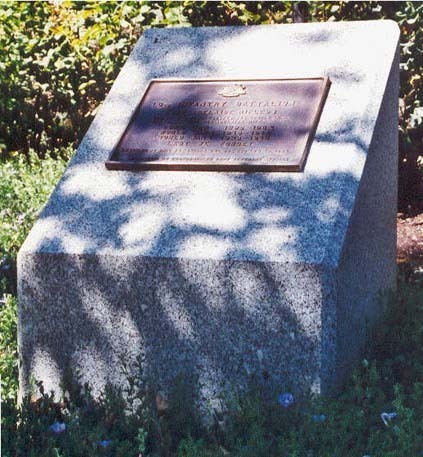 One monument, the SAS, is a cut and polished black granite boulder with brass plaques affixed to the face. NB: Owing to the nature of this memorial as an ongoing project with additional monuments continually being added, it has now been modified to include all monuments as individual items and are listed under the main title as additional items with a lower case suffix eg. AdelaideMG2a, AdelaideMG2b and so forth. ACKNOWLEDGEMENT/DATE: 23 Feb 02, updated 12 Jan 04.